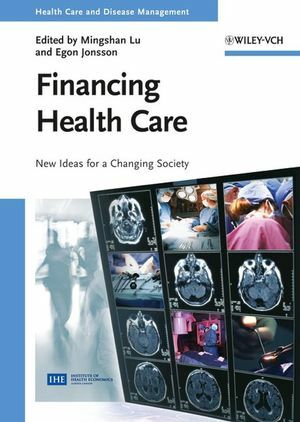 Discussing international issues of health care financing, this is the first volume in a completely new public health book series, edited by the Institute of Health Economics (IHE) in Edmonton, Canada. Starting with various funding methods, the reference also features sections on different health care payment and purchasing mechanisms, as well as equity issues. Of interest to medical and allied health professionals, and those working in health care industries, insurance, and economics. At present Mingshan Lu is Professor at the Department of Economics, Faculty of Social Science at University of Calgary/Canada. Her research focuses on health economics, health care financing and economics of substance abuse. Besides a number of excellence awards she received numerous outstanding research grants, for example from the Institute of Health Economics or the Alberta Heritage Foundation for Medical Research in Canada. Dr. Jonsson is director and CEO of the Institute of Health Economics, and professor at the University of Alberta, Public Health Sciences. For 20 years he was a professor of Health Economics at the Karolinska Institute, Stockholm, Sweden. Dr. Jonsson was also director of the Swedish Council on Health Technology Assessment (SBU), worked for WHO Euro, was a Health Policy Advisor at the Ministry of Health in Hanoi, Vietnam. His main field of research has been in health economics: cost-effectiveness analysis, and health technology assessment. Jonsson has co-edited 2 well-selling Wiley-VCH titles during his SBU times, "Treating and Preventing Obesity" and "Treating Alcohol and Drug Abuse".